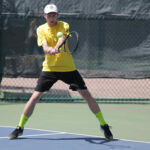 The Gustavus men's tennis team finished their spring trip with a 7-2 loss to No. 4 Claremont-Mudd-Scripps. With the loss the Gusties fall to 12-7 on the year. 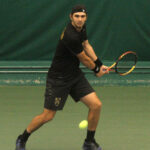 The Gustavus men's tennis team continued their spring trip with a victory over No. 11 Trinity (Tex.) 6-3. With the win the Gusties improve to 12-6 on the season. The No. 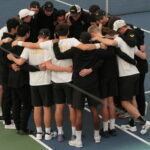 20 Gustavus tennis team Tuesday lost a heartbreaker 5-4 at No. 22 Redlands, falling to 11-6 overall. A split squad also lost 8-1 against Hope International. The No. 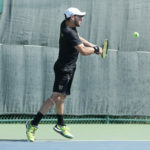 15 Gustavus men’s tennis team returned to Minnesota Intercollegiate Athletic Conference play on Saturday at the Swanson Tennis Center, defeating Saint Mary’s 8-1 before a 9-0 win over Saint John’s. The Gusties are now 11-4 overall and 6-0 in the MIAC. 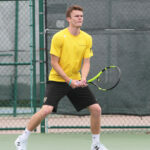 Chase Johnson (Sr., Golden Valley, Minn.) went a combined 5-1 in singles and doubles play at the highly-competitive Stag-Hen Invitational, which featured a field of eight nationally-ranked teams. 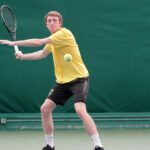 For his performance, Johnson has been named MIAC Men's Tennis Athlete of the Week for the second time this season. The No. 15-ranked Gustavus men’s tennis team competed at the Stag-Hen Invitational on Friday and Saturday, which featured a field eight nationally ranked teams. 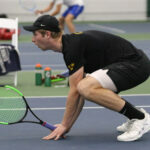 The Gusties went 1-2 in the tournament, winning the seventh place match 8-1 over No. 31 Swarthmore on Saturday after losing to No. 12 Sewanee 5-4 and No. 26 Skidmore 6-3 on Friday. Both the Gustavus men's and women's tennis teams have adjusted their schedules due to the forecasted snowstorm this weekend.